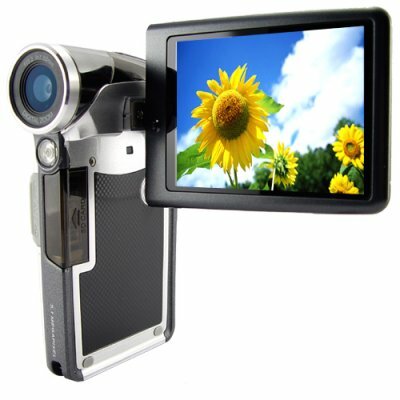 Successfully Added HD Digital Video Camcorder - Hi-Def DV Camera (Silver) to your Shopping Cart. It's not until you capture video and photos from the camera and put them on your TV or computer that you will see this unit's most impressive feature, HD. High definition video fills the entire 3-inch 16:9 screen with vibrant, clear imagery that must be seen to be believed. Once you see 1280x720P video with 30FPS, you will end up ordering as many more as possible thinking the budget price of this unit must by a typo on our listing. The one digital video camera that everyone should have. Easy to carry, endless expandable memory, never-ending power by simply popping in more AAA batteries, simple operation, all at a budget wholesale price. A low wholesale price and easy shipping make this a great item for featuring in your physical or online store. Available for single piece or stock orders now. From the original direct from China wholesale electronics supplier, Chinavasion. High Definition Camcorder with 1280x720P/30FPS video capture. Records at 30 frames per second (30FPS). 3 inch flip out screen with 16:9 aspect ratio. Rotating Flip Screen - 360 degree freedom of movement.